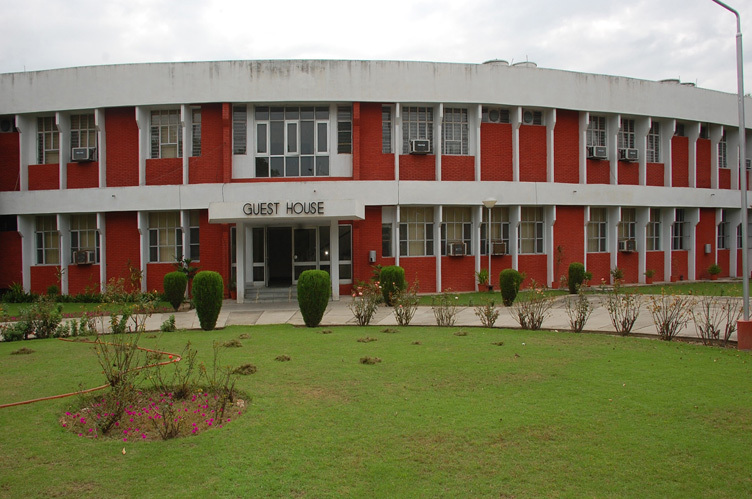 The Institute has one guest house within the campus. The guest house is located near the Shopping Centre . The Guest House has altogether 12 A/c Suites with a TV, Internet Facility and a Blower in each room. Housed in an imposing double storeyed building and located at a central place, the guest house provides boarding and lodging facilities for the Institute guests and Visitors. The Guest House has a homely atmosphere and ambiance traditionally acclaimed for its environs of hygiene and food of homely relish and richness.